The standard of living and the quality of education that New Zealand has to offer makes a lot of students choose the country as their destination for higher studies. But the high cost of living and expensive education means that most students also need to work part-time to support their lifestyle. Though it doesn’t take long for one to realise that juggling between college and work is not a piece of cake, there appears no easy solution to their problems. After all students, especially those with scholarships, need to maintain consistently good grades as well. MyAssignmentExpert.com is the perfect solution for all sorts of academic research and assignment preparation as we have writers who understand the needs of students in New Zealand very intrinsically. We want to prepare the best possible research papers that hold relevance in universities in New Zealand. So we decided to build a writer-base which has actually graduated from different universities in New Zealand like the Auckland University of Technology (AUT), Victoria University of Wellington, University of Canterbury, Nelson Marlborough Institute of Technology (NMIT), University of Waikato , Massey University, University of Otago , University of Auckland, and University of Canterbury. Our writers understand the local culture and environment of New Zealand and are much aware of the teaching standards and the expectations of the institute. Professors and coordinators also appreciate when classroom theories are applied in a localised and more practical context. Language has always been a barrier in the learning process. But nowadays, the scenario is changing in New Zealand with more professors and universities focusing on the quality research and content of the topics than the language. We have writers who can write in the flow that you’d like to create for your assignment. If English is not your first language, you might get caught when submitting a paper written by a writer from countries like the UK or the USA. We offer writers who will write precisely on the topic and on the standards of your own language skills. While placing an order, you can simply mention your proficiency in English writing and we make sure to write at a similar level. The research analysis and the subject matter in the assignment will not be compromised with but the language use and vocabulary can be moderated as per the personal language skills of the student. 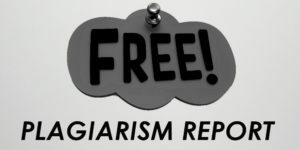 Plagiarism is considered to be a very serious offence by academicians across New Zealand. Many universities have a policy in place to expel students who are caught flouting the plagiarism norms repeatedly. We, at MyAssignmentExpert.com offer a lot of attention on keeping our papers plagiarism-free. As a matter of fact, you can ask for a FREE plagiarism check which is provided by Write Check (powered by Turnitin database) when placing an order with us for assignment help. As soon as your assignment has cleared the ‘Turnitin’ test, you can feel assured of no plagiarism accusations against your name. At MyAssignmentExpert.com we know how frustrating it is to be kept waiting for a response. So, we have developed a customer support that is available on various mediums like WhatsApp, Live Chat, phone, and E-mail round the clock. All queries and requests are responded to in as little as 1 hour in most cases as we want to leave no stone unturned in achieving our goal to be the best academic research and assignment writing service for students in New Zealand. Another fact worth mentioning is that you pay in your own currency, i.e. New Zealand Dollars (NZD) when you place an order with us. This way, you avoid any unnecessary charges related to currency conversion. Submit your requirements now to get a quote on your assignment. 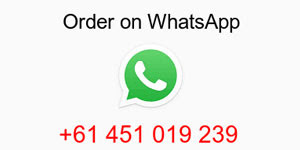 Alternatively, contact us on WhatsApp (+61 451 019 239), it wouldn’t take us more than an hour to review the requirements and respond.